GLENLUCE VINTAGE TRACTORS held their annual tractor road run on a very wet Sunday in August. Including the Gift Aid £3,145 was raised. The proceeds from sponsors and donations were presented to Rowan Main from Cancer Research UK. Chairman, Ken, thanks the organisers, marshals and all who took part in the run and helped to make the event a success in very adverse weather conditions. Glenluce Vintage Tractors held their annual Rally on Sunday June 3rd 2018 and the proceeds raised from Maggie's Kitchen at the Rally were donated to three charities. Macmillan Cancer Support received £1,300. Diabetes UK and Heart & Stroke Stranraer & District Group each received £650. 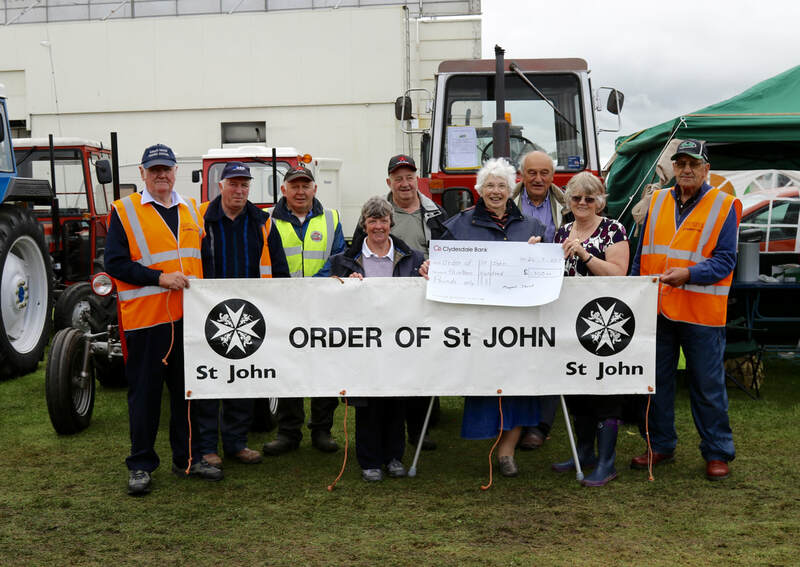 ​The photographs below show the presentation of cheques to the charities by Mrs Margaret Stewart, Convenor of Maggie's Kitchen, at the Stranraer & Rhins Agricultural Show on Wednesday July 25th. Macmillan Cancer Support - Ian Taylor, Ken McKie, Andrew Wilmont, Kathleen McWhirter, Margaret Stewart, Irene Rankin, Alan McNally, Richard McCrindle, Alastair Campbell & Bobby Rankin. 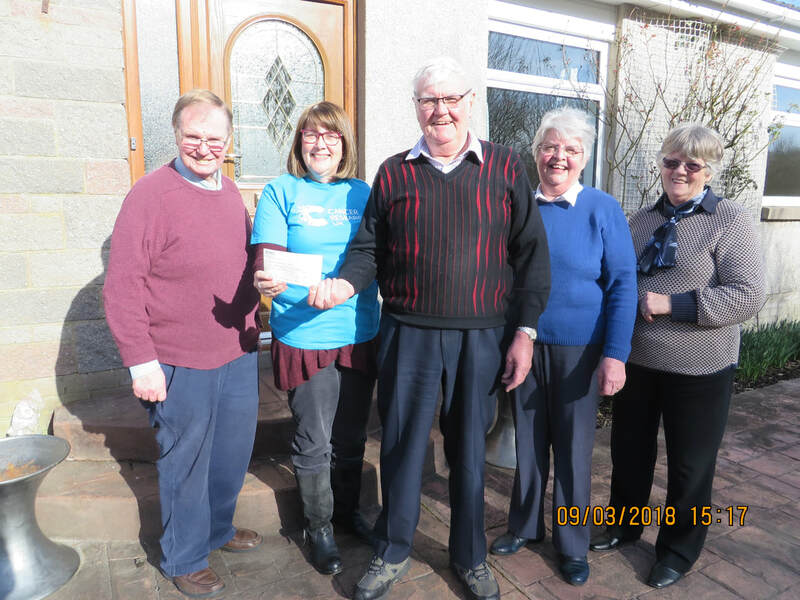 Diabetes UK - Ken McKie, Ian Taylor, Rhonda Falconer, Rob Stewart, Margaret Stewart, James Rankin, Bobby Rankin, Grace McKie, Wullie McHarrie & Nicole Spalding (the Regional Fund Raiser). Heart & Stroke Stranraer & District Group - Andrew Wilmont, Ken McKie, Margaret Stewart, Billy Parker, Kathleen McWhirter & Wullie McHarrie. 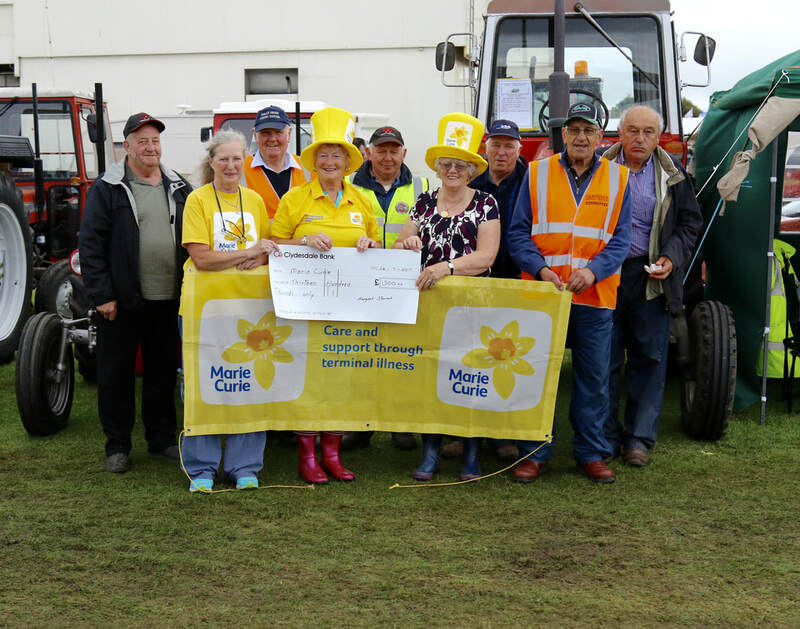 Cheques were presented at Stranraer & Rhins Agricultural Show to Marie Curie and The Order of St John each charity having received £1,300. This was the proceeds from Maggie's Kitchen at the Glenluce Vintage Tractor Rally held in June. 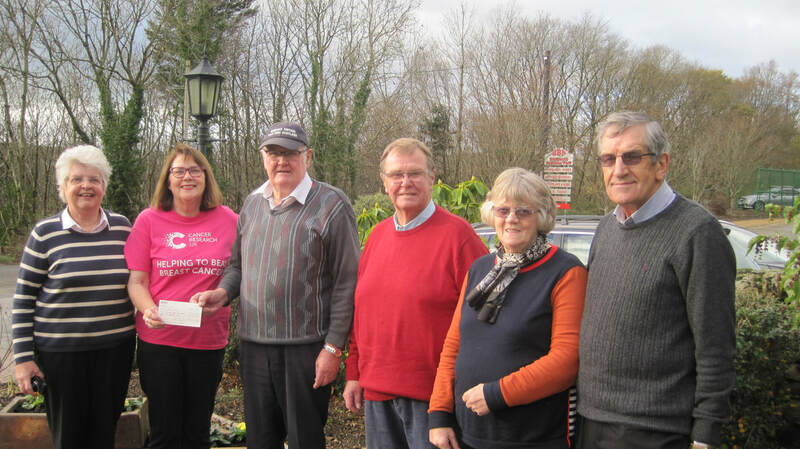 GLENLUCE VINTAGE TRACTORS presenting a cheque for £4110 to Rowan Main, area organiser for Cancer Research UK. The amount was raised through donations, sponsors and Gift Aid at our annual August road run. In the picture, left to right, Ian Taylor, Rowan Main, Ken McKie, Jean McKie and Margaret Stewart. The committee thank all who were involved in raising this fantastic amount. © glenlucetractors.com is the property of Glenluce Vintage Tractor Rally and may not be copied or changed without the permission of the owners.